Carole King, Usher and Harry Belafonte have joined the line up to honor the class of 2013 at the Rock and Roll Hall of Fame induction ceremony next month. Legendary singer/songwriter King will perform in recognition of her former producer and manager Lou Adler, who will be inducted by stoner icons Cheech & Chong, while R&B star Usher will hit the stage to pay tribute to iconic producer Quincy Jones. Both honorees will receive the Ahmet Ertegun Lifetime Achievement Award, which recognizes non-performers for their outstanding contributions. Meanwhile, veteran rocker John Fogerty will team up with Jackson Browne to salute Randy Newman; Chris Cornell will induct Heart, and calypso star Belafonte and director Spike Lee will help to celebrate the career of rap group Public Enemy. Previously announced presenters and performers include Dave Grohl, Don Henley, John Mayer, and Jennifer Hudson and Christina Aguilera, who will salute disco queen Donna Summer at the Los Angeles event. Scheduled for Thursday, April 18, 2013, the 28th Annual Rock and Roll Hall of Fame Induction Ceremony will be held at the Nokia Theatre L.A. LIVE in Los Angeles. This marks the first time since 1993 that the Rock and Roll Hall of Fame Induction Ceremony will be held on the West Coast. The ceremony will again be open to the public, as it was in 2009 and 2012 in Cleveland. 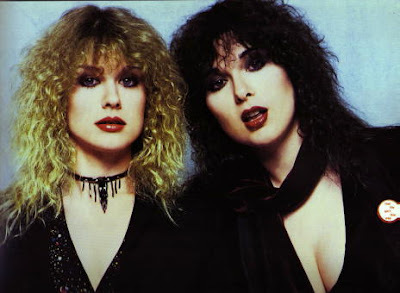 Sisters Ann and Nancy Wilson will be honored with the 2,481st star on the Hollywood Walk of Fame. The rockers will unveil the pavement plaque on September 25 following tributes from guest speakers Rita Wilson and Alice in Chains stars Jerry Cantrell and Mike Inez. The star will be located on Hollywood Boulevard, in front of The Musician’s Institute, by plaques honoring the likes of Journey and Motley Crue. The show’s seven remaining couples will rock the ballroom as they dance the Paso Doble and Tango to classic and contemporary rock songs and tear up the dance floor in the show’s first ever rock and roll dance marathon, on “Dancing with the Stars,” MONDAY, OCTOBER 25 (8:00-10:01 p.m., ET) on the ABC Television Network. 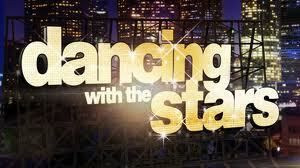 On the next night, the sixth couple to be eliminated this season will be sent home on “Dancing with the Stars the Results Show,” TUESDAY, OCTOBER 26 (9:00-10:01 p.m., ET) on the ABC Television Network. On Tuesday’s results show, legendary rock and roll band Heart will play its iconic hit, “Barracuda,” accompanied by “Dancing with Stars” pros Louis Van Amstel, Karina Smirnoff, Derek Hough, Chelsie Hightower, Damian Holbrook and Peta Murgatroyd. 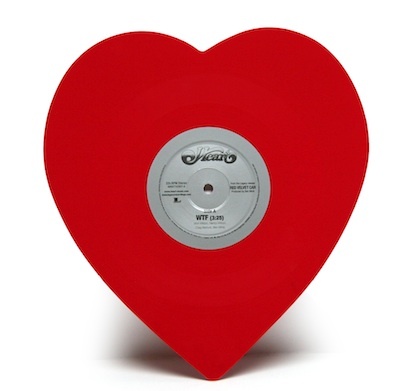 Heart recently released its 13th studio album, “Red Velvet Car,” produced by Grammy-winning producer Ben Mink (kd lang, Feist, Bare Naked Ladies), which debuted at No.10 in Billboard Magazine’s Top 200 Album Chart. Their current AC single, “Hey You,” was in the Top 30 for three months, while their classic rock single, “WTF,” hovered near the Top 10 (on those respective charts). Heart has sold over 30 million albums and had 22 Top 40 hits. Over the past decade, Heart songs have achieved ubiquity in pop culture in films (“Shrek 3”), television (“American Idol,” “Glee,” “Dancing with the Stars”), commercials (Honda, Swiffer) and videogames (Rock Band, Guitar Hero), as well as being performed by other top artists (Eminem, Fergie, Gretchen Wilson, among many others). To support the release of “Red Velvet Car,” Heart toured throughout the summer of 2010, including four Lilith Fair shows and nearly 40 headline shows, which continued through September 25 and will pick up again in November and December. Heart’s first album, “Dreamboat Annie,” was released in 1976. The band broke barriers with a repertoire that includes rock classics like “Barracuda,” “Crazy on You,” “Magic Man,” “Straight On,” alongside acoustic standards like “These Dreams,” “Dog & Butterfly” and “Dreamboat Annie.” They were 2008 recipients of VH1 Rock Honors, received a Lifetime Achievement Award from the Northwest Grammy Foundation and received ASCAP’s Award for Excellence in Songwriting in 2009.
decades. Around the globe “Aphrodite” debuted in the top 10 in 13 different countries. Over the course of her extraordinary 20-plus-year-career, Minogue has been a global force in pop music and is one of the world’s most successful female artists, with more than 60 million albums sold worldwide and 50 hit singles, including the U.S. Billboard dance-chart toppers “Can’t Get You Out of My Head,” “Love at First Sight,” “Slow” and the Grammy Award-winning “Come Into My World.” She has received countless awards and accolades, including an OBE from the Queen and eight sold-out world tours, including the KylieX2008 tour, which traveled to 21 countries worldwide. Minogue has released ten studio albums, three live CDs, eight live concert DVD’s, plus her Greatest Hits, Ultimate Kylie double album and Boombox The Remix Album 2000-2008. She also has her own successful bed linen line, Kylie at Home, and has released seven fragrances. Red Velvet Car, the first new studio album in six years from the groundbreaking Seattle-based band Heart, is entering the Billboard 200 best-selling album charts at #10, becoming the seventh Top 10 album of the group’s career. 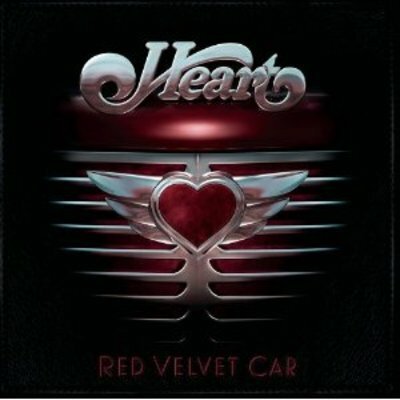 Heart’s first album for Legacy Recordings, the critically-acclaimed Red Velvet Car marks the return of the group to the Sony Music Entertainment family. The album reached #1 in sales on Amazon.com on Sunday, September 5. “After 3 plus decades, to have loyal fans, old and new, and to be acknowledged for our work as performers and songwriters is really quite beautiful,” said Nancy Wilson. 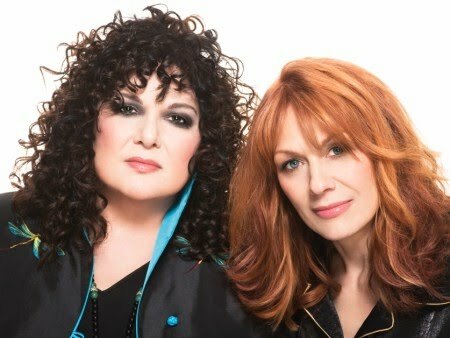 Currently in the midst of a summer-fall tour supporting the release of Red Velvet Car, Heart’s Ann and Nancy Wilson will perform on the star-studded Stand Up To Cancer (SU2C) primetime roadblock television fundraising event (September 10, 2010, at 8PM ET & PT / 7PM CT). The Stand Up To Cancer (SU2C) telecast will raise funds that will accelerate innovative cancer research. The live, one-hour fundraising event will be simulcast commercial-free on ABC, CBS, FOX, NBC, Bio, Current TV, Discovery Health, E!, G4, HBO, HBO Latino, MLB Network, mun2, Showtime, Smithsonian Channel, The Style Network, TV One and VH1 and hosted by network news anchors Katie Couric, Diane Sawyer and Brian Williams. The broadcast will air in 195 countries, as well as on the Armed Forces Network. Heart will be heard on NPR’s “World Cafe” on September 17 to perform songs from Red Velvet Car. Both “Hey You” and “WTF,” the first two singles from Red Velvet Car, are multi-format smashes, garnering airplay on the nation’s AC, Triple A and Classic Rock radio stations. For their first new album since 2004’s Jupiter’s Darling, the first ladies of arena rock took an acoustic approach to a collection of songs inspired by the world around them, arranged for an assortment of strings including guitar, mandolin, dobro, banjo, fiddle, viola, cello and autoharp, all played by Nancy Wilson and the album’s producer, multiple Grammy nominee Ben Mink. Nine of the album’s songs were written for, and appear for the first time on Red Velvet Car. The album’s closer, “Sand,” is a newly recorded version of a song originally written and recorded by the Lovemongers, Ann and Nancy’s 1990’s acoustic side project. Heart performed songs from Red Velvet Car, as well as classics from the band’s repertoire, at selected Lilith Fair dates and in headline concerts across the U.S. and Canada from July through September. Get Red Velvet Car Now! You can pre-order Red Velvet Car on Amazon and receive $1 off! Just visit the Amazon store athttp://amzn.to/cTIdPzand before you place your order, type REDCAR10 where it says “Have any gift certificates or promotional codes?” to get your $1 off! Get Essential Heart On Amazon Now!